The philosophy of Capital Region Foot Care has been to remain on the leading edge of knowledge and technology while providing compassionate quality care. 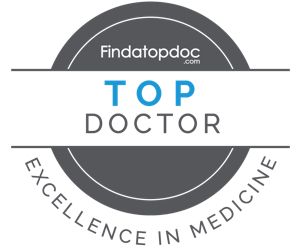 Our doctors have the expertise and training to provide you with the best care. Our friendly staff is committed to helping you through the process from making your initial appointment to following up with your questions. We strive to educate each patient regarding their condition so that they understand what options they have in their care and what to expect during treatment. We believe that keeping people active is the key to a happy and healthy lifestyle. We offer treatment for heel pain, foot pain, plantar fasciitis, bunions, sports injuries, and more! Foot Pain Albany, NY Dr. Ginsburg and Dr. Lam will help you find relief to your foot condition. Podiatrist Care Albany, NY We treat conditions of all kinds including bunion pain, plantar fasciitis, heel pain, and more. Plantar Fasciitis Albany, NY We provide treatment and products to help with your medical foot problems caused by diabetes. There’s no reason you should have to wait to find foot pain relief. If you have pain in your foot, feet, or heel(s), don’t wait to address your concerns with one of our foot doctors. We’ll schedule an appointment at the soonest opening, to ensure fast relief. Call us today to schedule an appointment with one of our reputable foot doctors. A native Albanian, he was valedictorian of the 1976 class at Monmouth University. He found podiatric medicine and surgery as a fulfilling professional career. Dr. Steven Lam, DPM grew up in Niskayuna, NY and graduated from SUNY Buffalo State in 1999. He had always been interested in sports medicine and surgery.